Since we recently celebrated our sixth dating anniversary, I thought I'd share the first picture Ant and I ever took together. 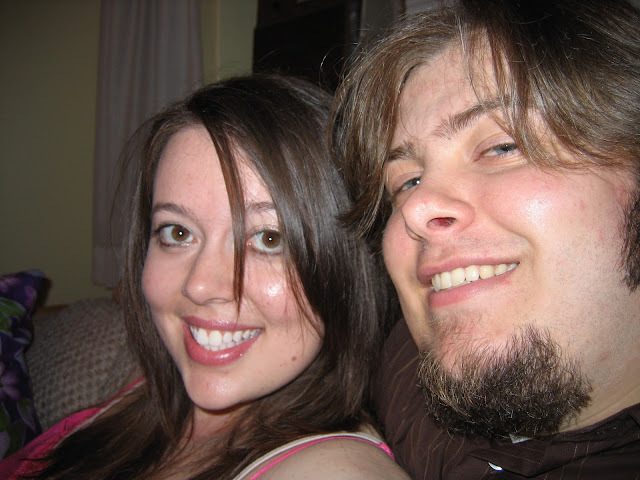 This was taken on our one month anniversary, so April, 2006. We went to dinner at The Pasta Factory (which seems to have moved locations since we were there) and then went back to my apartment in the dorms (I was the Resident Director of a residence hall so I had a nice little two-room unit). I've always been a picture taker, and Ant made it very clear early on in our relationship that he hated pictures. That was almost a deal breaker, ladies! He's since come around a little and will begrudgingly let me take pictures, thank goodness! Check out my other Flashback Friday posts here!